For all the amazing new programming Netflix originals has brought us, it has also strung along a whole list of shows that weren't good enough to be picked up by cable, The Fall is one such show. It may sound ridiculous to say that a six episode season felt too long, but when it came to this show, that was certainly the case. In Belfast, there has been a string of murders that the police are unequipped to handle, so they called in one of Scotland Yards top investigators to help solve the crime. The description of the show could lead one to assume that this would be a great murder mystery series, and it might have been, if not for the fact that the show parallels the investigation with the killers life. There is no mystery here, other than how something like this was turned into a series. 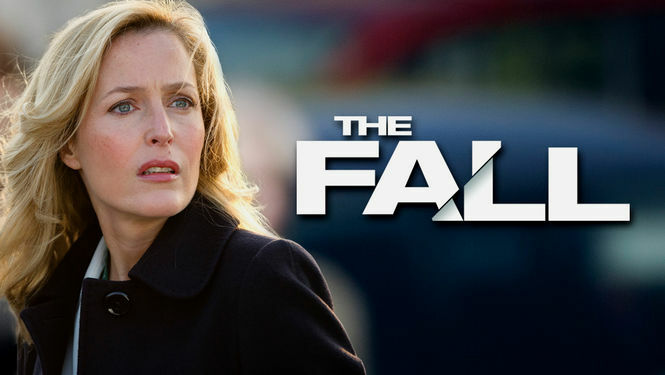 The Fall has maybe enough content for a movie, and even then it wouldn't be a very good one. X-Files star Gillian Anderson stars in a role that is completely unbelievable for her. First we are to believe, that because she has red hair and freckles, that she is from Ireland, when her ridiculous attempt at an accent says otherwise. Beyond that, she plays this icy cold, promiscuous woman, who makes a hell of a lot of mistakes for a woman whose supposed to be the best Scotland Yard has too offer. As for the first season, it's only six episodes, but it felt more like six days, as it moves at a snails pace. British Dramas are almost always dry, but this series takes the cake, not only is it as slow as can be, but there is very little action and absolutely no attempts at humor to break up the monotony. The Fall is painfully straight-forward, slow moving, and it leaves nothing to the imagination. Unfortunately, once you start the series, it's like a car crash, it's horrible, but hard to look away. I wanted to like this show, so I kept waiting for something to happen, but nothing does, it just builds to a anti-climatic cliffhanger, that leads us into season two, which I wanted absolutely no part of. 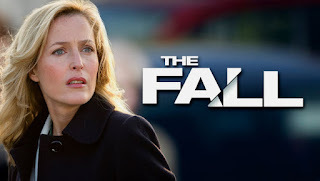 The name Gillian Anderson may peak the interest of my fellow science fiction aficionados, and if you ask Netflix, they'll tell you it's the greatest mystery of all time, but the only mystery to me, is why I continued to watch this show after the first episode.